The office was designed for communication. There are conference rooms for meetings. Whiteboards hang in break-out rooms for brainstorming sessions. Offices or cubicles are situated so co-workers can pop in or peak their heads over for quick questions of clarity. Even lunch rooms and break rooms are on site so workers can hash out solutions over a sandwich or by the microwave while heating up a Hot Pocket. All that infrastructure is easily taken for granted until…you become a remote leader and none of it is there. 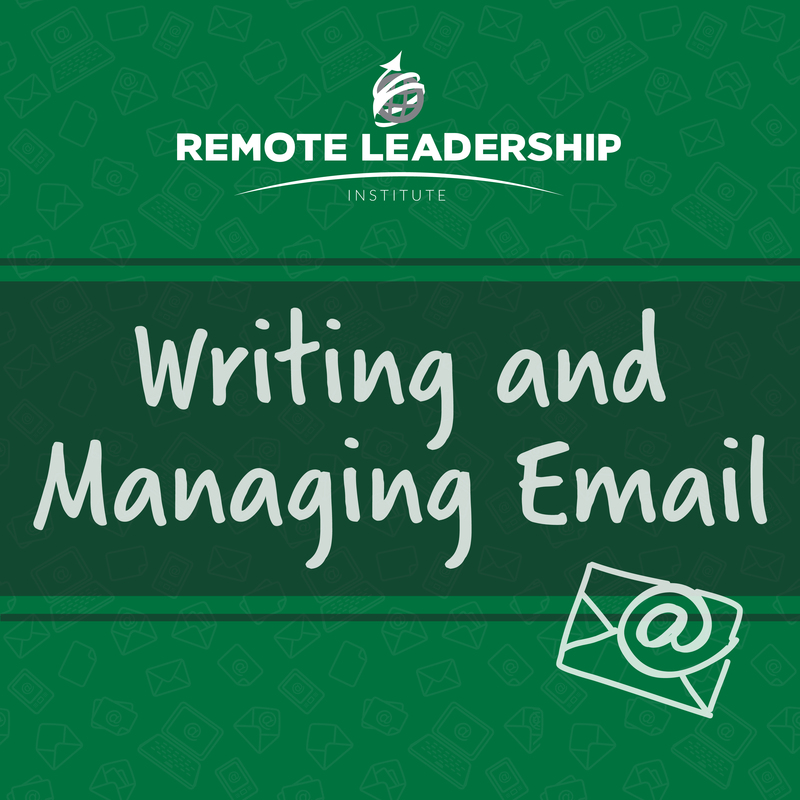 If you lead a remote team, you’re well aware you have no real office space to facilitate all these different (and critical) forms of communication. That means its your job to be the architect, to build platforms and processes that will allow your team to have the needed outlets to communicate with each other. Build a platform for informal communication. We’ll talk about more formal communication in a moment, but let’s face it: the lion’s share of really important conversation happens outside the boardroom. They happen in those “eureka” moments that must be shared via a quick office pop-in and during those aforementioned creative exchanges next to the microwave. Because that “asynchronous” communication is so powerful, it’s incumbent on the remote leader to set up easy-to-use pathways for team members to informally communicate. A number of “chat-room” style apps exist, like Slack and Skype. These allow team members to talk via text, voice and/or video at a moment’s notice. They’re easily manageable so individual team members can set up “out of the office” notifications when they don’t want to be disturbed. The key component is they provide quick and easy access, allowing the power of that informal interactional dynamic to be harnessed. Select a platform for pre-planned group communication. This is your virtual conference room space. This is where groups or segments of your team can gather in a more formal fashion to have meetings about progress, to brainstorm new ideas, or any other conversation that requires a plurality of members to be present. Applications like Zoom and GoToMeeting give users communication options through text, voice and video. The dynamics of the virtual group meeting are quite different than one that happens face to face in the office, however. As the leader, make sure you’re intentional about how you set up and manage these meetings so that they’re optimally effective. Wayne Turmel has some great advice here on managing conference calls. In fact, this website and the RLI YouTube channel have all sorts of great ideas for managing your virtual team meetings. Utilize shared calendars and task management software. These are even useful tools for co-located teams, but they’re absolutely critical for remote teams. I mentioned before about the challenge of informal check-ins. Keeping tabs on the status of projects and availability of team members is usually done with a quick, “Hey, is Jim in?” or even a peak to see if the door is open in a traditional office setting. That doesn’t happen when team members are scattered across the country or the world. These tools allow team members to track work and each other. 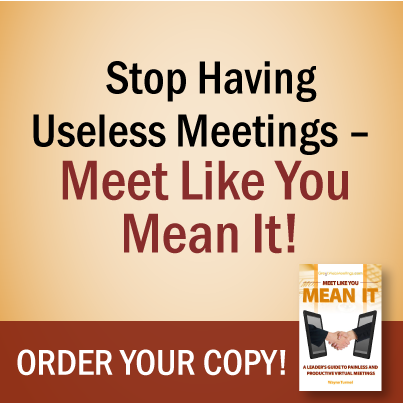 This provides useful feedback and accountability for your team. To this point we’ve been talking just about productivity issues, but we all know what “all work and no play” does to Jack. You don’t need any dull boys on your team. Fortunately, platforms like Slack allow for creating multiple channels, including set asides for non-work related conversations and general banter. At KEG, we have the “water cooler” channel. There we can talk smack about college football, share the name of a great restaurant we ate at, or tell everyone how well our kids did at their soccer game last weekend. It’s a fun place to “hang out” and fosters a sense of camaraderie that most virtual teams struggle to recreate. Be intentional about communicating milestones and successes. 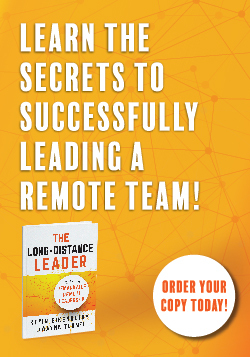 Perhaps the number one complaint heard from remote workers is a feeling of isolation, of not being “part of the team.” Nothing counteracts that better than a leader who intentionally promotes team achievement. Whether that’s recognizing Mary’s work anniversary or congratulating the sales team on reaching their goal this month, good leaders promote that information. It’s great to give out private or individual “attaboys” but the sense of group accomplishment is a vital piece of building a successful team. 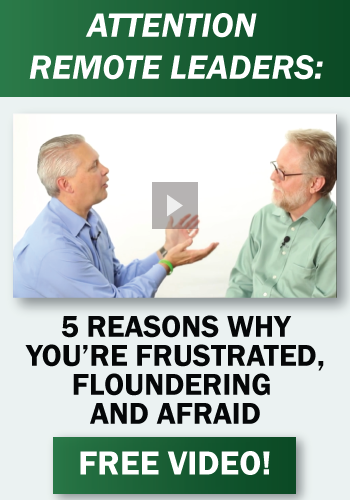 These are just a few of the communications challenges facing remote leaders. If you’d like a more detailed list of what it takes to build a successful virtual team, this report is yours to download for free.